Smallbore competitors — mark your calendars for July 15 through July 19. That’s when the 2011 NRA National Metric Smallbore Championships will be held at the Wa-Ke’-De Range in Bristol, Indiana. Practice Relays will be held on the 15th. 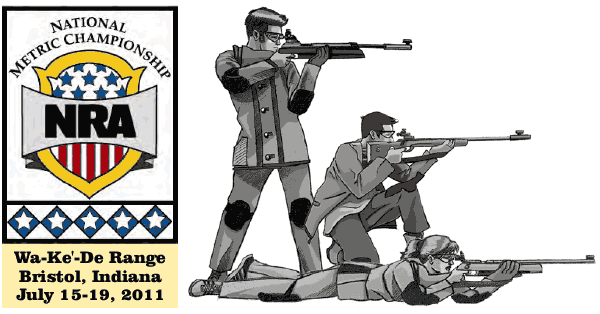 With Position shooting scheduled for July 16-17 and Prone for July 18-19, this event is a great way to tune up your marksmanship skills prior to the Smallbore Championships at Camp Perry which kick off on July 21st. The Second Annual NRA Metric Smallbore Championships are limited to the first 200 competitors. You can still register now by contacting H.Q. Moody at 703-267-1475 or HMoody@nrahq.org. Don’t procrastinate — anyone attempting to sign up after July 8th will have to do so at the Statistical Office at the Chief Wa-Ke’-De’ Range. The Jameson Inn in Elkhart, Indiana is the host hotel. Mention the National Metric Championships to receive a special rate. Share the post "Indiana Hosts NRA National Metric Championships Mid-July"